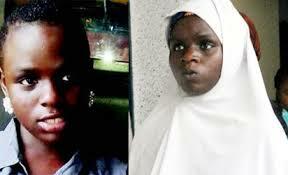 We’ve been abandoned, says Ese Oruru’s father – Royal Times of Nigeria. Mr. Charles Oruru, the father of Ese Oruru, the then 13-year-old girl abducted and taken to Kano where she was allegedly raped, forcibly Islamised and married off without her parents’ consent, is lamenting that the family has been abandoned. Charles said all the promises made by the governments of Bayelsa and Delta states with regard to Ese’s scholarship had not been fulfilled. She was rescued on February 29, 2016, by the Kano State Police and placed in the custody of the government. It was later found out that she was five months’ pregnant with her abductor’s child. Charles spoke with Punch on Thursday, saying, “A lot of things have happened. As Ese was delivered of her baby, three months after, some people attempted to steal the baby but God helped us, they did not succeed.